If you aren't familiar with this next feature, you are not alone...because it is a limited edition low production oddball with a name that sounds like the cheese-like substance found between toes. Roughly 150 examples of the Pontiac Tojan were built by Knudsen Automotive on third gen F-body chassis between 1985 and 1991-- and don't call it a kit car. According to various internet sources, the Tojan was commission by GM as a Ferrari fighter, and they used basic F-body mechanical parts with a Knudsen designed exterior that looked like a bizzaro world Ferrari F40 that was built using nothing but parts a Fiero and Trans-Am. 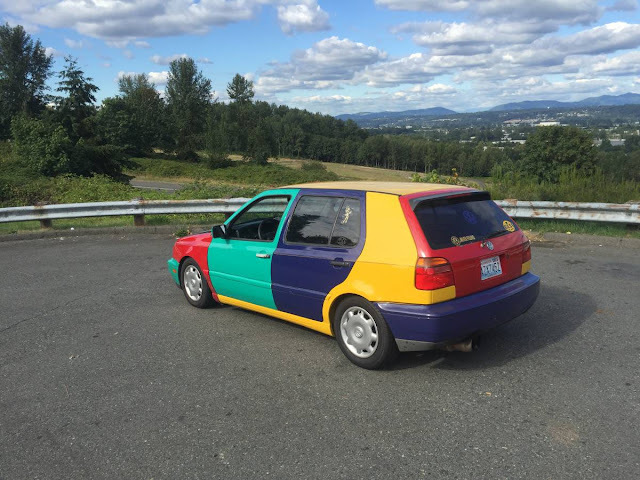 Find this 1991 Pontiac Tojan offered for an undisclosed price here in SF Bay Area, CA via craigslist. Tip from Kaibeezy. 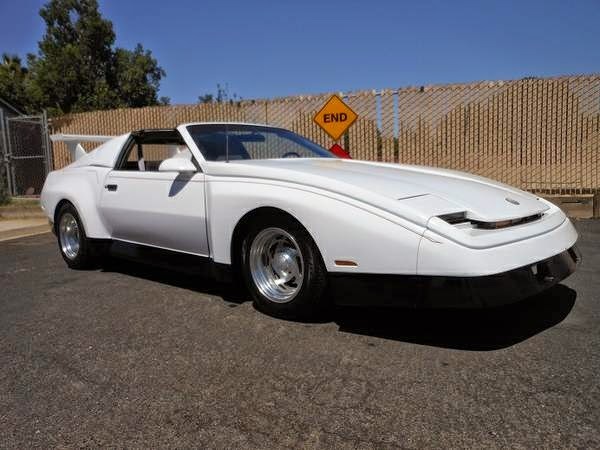 Post a rare and bizarre car like this and include two lousy photos with the listing? Seriously? This is okay, because the internet has a few pictures of this wild winged devil horse emblazoned F-body here on firebirdgallery and streetlegaltv. Unfortunately, this particular Tojan is not only shifted by an automatic, but it is also motivated by a 3.1 liter GM V6. Don't expect the 140 horsepower and 180 ft-lbs of torque to make this white spaceship shaped object go warp speed...but it'll be fine for putting around and telling everybody that it isn't a kit car. OK, I'll admit that I misread the title. I thought it said "Pontiac Trojan", and I assumed it was alluding to the somewhat-phallic form of the nose extension. I also thought it was Trojan and my mind cam up with A Trojan that needs a Magnum . 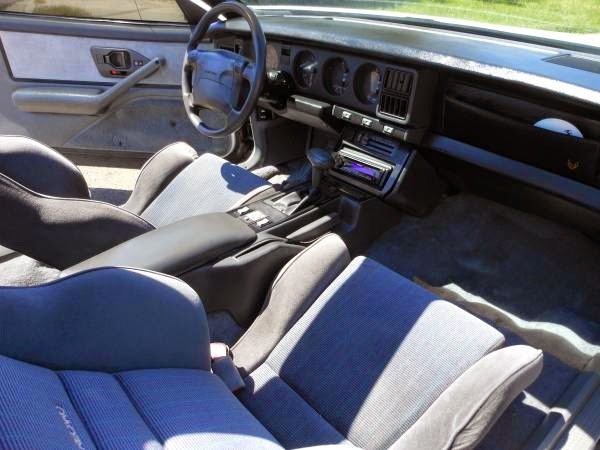 Those seats are straight out of a 16v Jetta GLi or GTi, and they're phenomenal. It's not pretty or even particularly well done, but I sort of like it. Spectacular find! Rare, utterly unheard of and still not a kit car. I barely even feel this urge to give it an engine swap. I hope this thing finds someone who will appreciate the hell out of it. Recaro LS seats. They're nice. The rest of the thing is a joke. That's all I feel for this pig... I would drive it with a LS and standard transmission . this thing as is has absolutly no apeal to me. Heck it looks like some teenager made his own widebody kit. The Pinto Stilletto is it's baby brother. I have seen a few in the flesh. The nose of the Pinto Stilletto looks even more extended than this illustration if you can believe that. I think the best part of this car ran down its mama's leg must be a leaky tojan ! Michael that is no KITT car ! More information on the Pinto Stilletto. I will admit that I've always liked the Pangra.